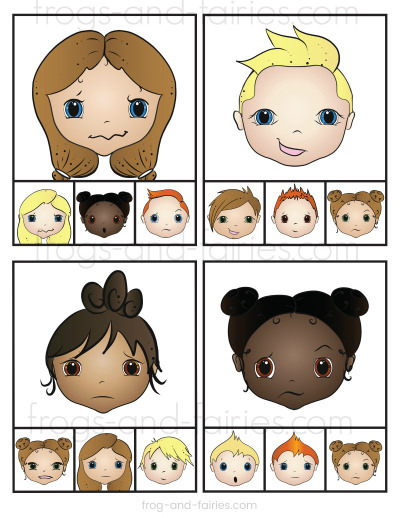 This activity is a fun way for helping children learn to recognize different emotional expressions! 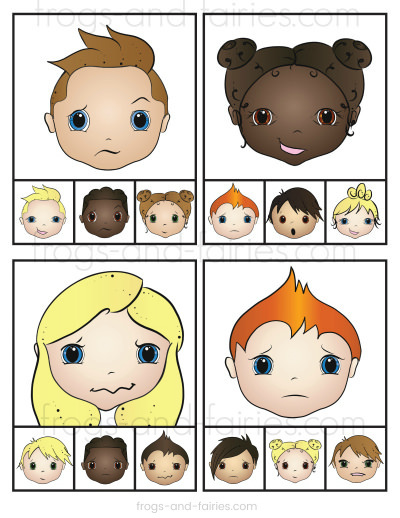 This PDF printable set includes 12 emotions match clip cards with pictures of children’s 7 different emotional expressions. 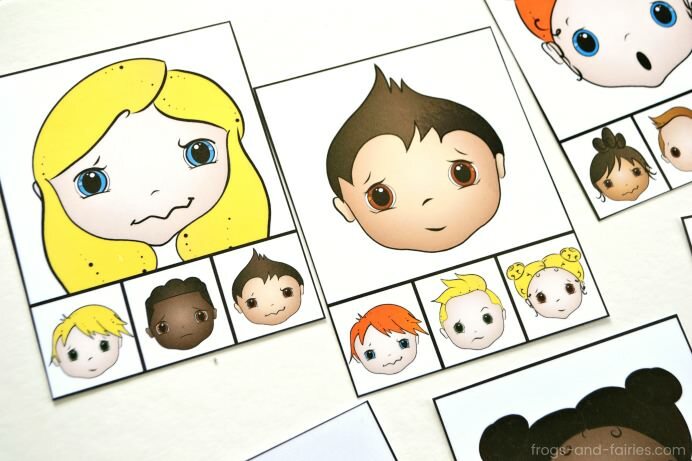 These emotions match clip cards will help kids recognize how different emotions might look like. 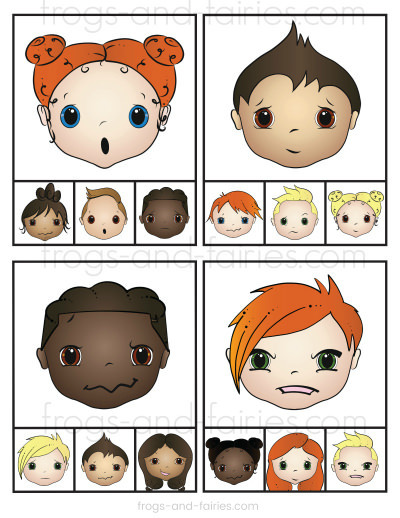 It also gives you an opportunity to discuss with your kids different emotions and how to deal with them. TO PREP: Print out the cards. Print on cardstock for more durability. Cut out the cards. You can laminate the pieces for even more durability. 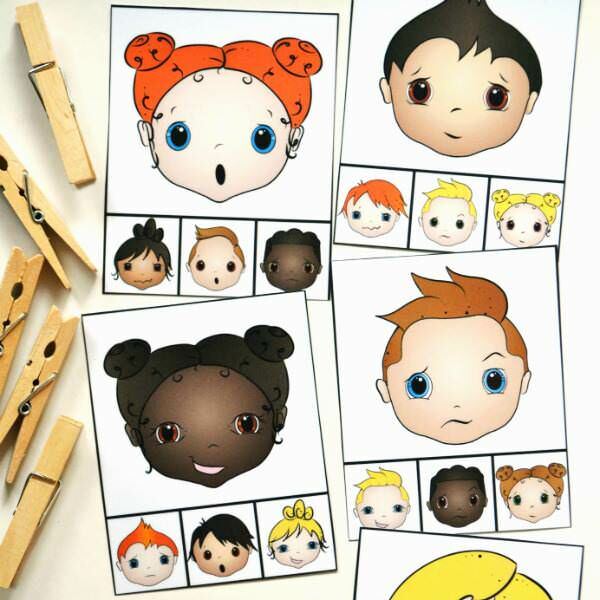 Add clothespins, pebbles or buttons depending on your preference or your child’s fine motor abilities. TO PLAY: Each clip cards includes 3 emotion choices to choose from. 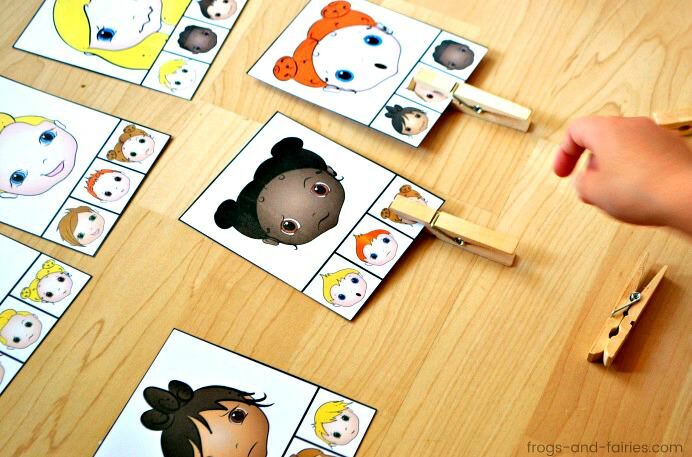 Your little learners need to match the child’s emotional expression with the matching emotional expression on the bottom and place a clothespin or another object on the correct answer for each card.